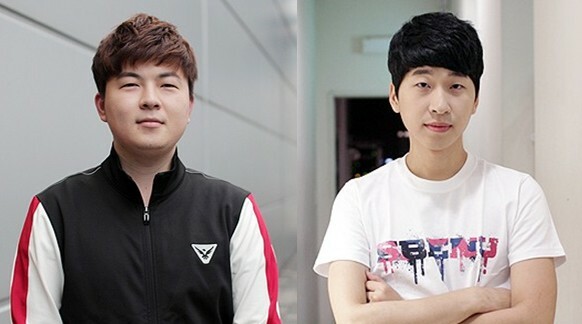 Mind were thoroughly prepared in their most dominant match-ups, PvZ and TvZ, respectively. Whether it was aggressive proxy cheese or standard play, ZerO and Killer were unable to respond and must now await the next HungryApp/Kongdoo Starz League for a shot at major tournament glory. The second week of the quarterfinals feature another TvZ, followed by the always entertaining PvP mirror match-up. With the participant pool whittled down from over 40 to, now, 6, read on as BigFan recaps the first two QF matches. FlashFTW and BLinD-RawR then preview the last two of the QF. Get ready, play starts on Sunday, Aug 02 10:00am GMT (GMT+00:00)! In the first series of the highly anticipated Ro8, Bisu faced off against ZerO, a player who has the ability to take him down. 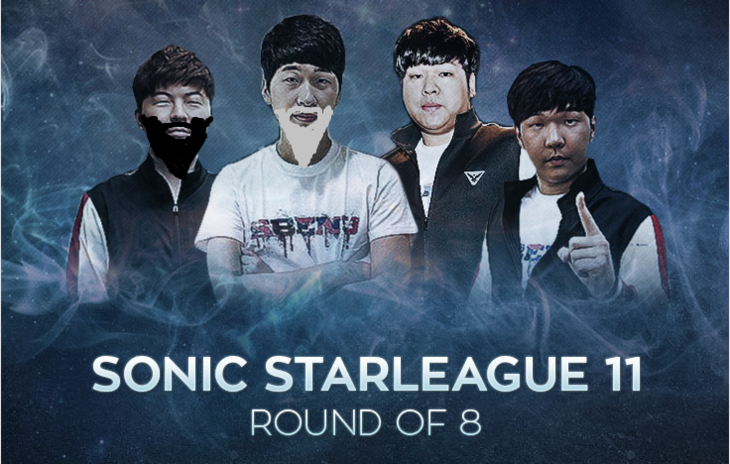 Unlike Bisu, ZerO has been unable to make an appearance at the coveted SSL finals yet, so, his inner desire to reach the grand stage was reaching its climax. Bisu opened up with a proxy 2 gate. ZerO went for pool first and grabbed an expansion at the third base position (7 o'clock) which was scouted and killed by Bisu who tried to contain him to his main with zealots and cannons. However, quick reaction and planning from ZerO helped him break the contain before it was completed (gif). Both players expanded to their naturals. ZerO opted for hydra drops after defending both a zealot attack and a dark templar attack and Bisu went for his signature units. Despite ZerO's best efforts, Bisu was able to deny the first drop and easily defended the second to take game one. ZerO opened with an overpool and double expanded while Bisu went for forge FE. Bisu went for reaver drops and tried to do some major damage, however, he was thwarted by ZerO's impeccable defense. Upon massing a huge amount of hydras, ZerO broke down Bisu's front while also defending dark templar drops in his main and 4th base to tie the series. Hydras, hydras and more hydras! Players opened up with similar builds to game 2. Bisu decided to go for a +1 speedlots attack off 3 gates with double stargates for followup. Despite scouting this, ZerO barely defended his third with mutalisks and sunkens then went on the defense while he established a fourth. Bisu slowly took the army advantage through impressive engagements, strong macro and constant overlord pick-offs then broke down ZerO's third to go up 2-1 in the series. Bisu opened up with a 2 gate at his natural which was defended well by ZerO who opened with a pool expansion build. Seeing an opportunity to do some damage as Bisu expanded, ZerO morphed a hydra den and went on the offensive, double expanding behind the attack. After defending, Bisu scouted around and added more gates to go up to 8 then went for a speedlot/high templar attack on ZerO's third which allowed him to establish his own third. His followup attack hit the perfect timing as ZerO was morphing lurkers and helped him level ZerO's third base to take the game and series, 3-1. Mind and Killer. Mind flexed his muscles and dominated Killer, in convincing fashion, taking the series 3-0. Mind opened up with a rax FE to Killer's 3 hatch mutalisk build. With a small MnM army, Mind went on the usual offensive. Upon scanning and realizing Killer only had one sunken for defense, he realized that he had the ability to kill Killer right then. With good reaction speed and stim, Mind made his way to Killer's natural, right before more sunkens finished morphing and mutalisks were out, to take the game. Mind went for a proxy rax against Killer's expansion pool build. Killer easily deflected the attack using drones and teched up to lair to get a spire while Mind added a factory and expanded behind vultures. Mind dropped some vultures that did quite a bit of damage and kept putting on pressure with MnM+tanks. However, Killer took several engagements due to great surrounds and was in a good position overall. That was, until Mind turned up his multitasking. Simultaneously, Mind landed a MnM drop that caused massive damage in Killer's base while also attacking and taking down Killer's third as he established his own. More pain came Killer's way as Mind double dropped his main again and took down his fourth. Killer eventually conceded defeat after Mind double dropped his third and killed a ton of drones and units in the process. Killer opened with expansion pool while Mind went for a standard rax FE. After getting out some mutalisks, Killer put on a lot of pressure in Mind's main through his solid mutalisk micro, however, he also lost all almost his mutalisks but one as he retreated. Mind saw an opening, but, was repelled by sunkens. He tried yet again to break into Killer's expansion after he got tanks and vessels, but, defilers were out in the nick of time. Mind decided to mass expand and transitioned to mech as Killer also grabbed his fourth. Once Killer established his economy, he went on a mass offensive which included many zergling and ultralisk attacks on Mind's bases. Despite Killer pushing back Mind, Mind hung on for dear life, rebounded well and then trounced Killer with a maxed out mech army to take the series. Mong takes advantage and throws in some cheese in the series. Nevertheless, I expect a strong showing in the Round of 8 from hero. Mong hasn’t played much TvZ of late. He was pushed to the edge by Hyuk in group stages before managing to stabilize and having Hyuk overcommit and squeezing out a win. In fact, in the past 15 games, Mong is actually 8-7. Ever since his monster 9 game win-streak vZ, he has underperformed and many question if he is still one of the best Terrans. It is no wonder he has recently been dropping in the Elo ranks. We will see how well he prepares against a mastermind like hero; the future, however, looks bleak. The map selection may play a significant role. hero has historically had success with a vT win rate of 50% or greater on Circuit Breaker and New Heartbreak Ridge, which is scheduled for sets 1 and 5, while more so struggling versus Terran on the Fighting Spirit-family of maps like Jade and La Mancha, but hero's hot streak of late cannot be underestimated. free’s PvP experience in this SSL alone is facing off against GuemChi 3 times(once in regular group stage and twice in tiebreakers) going 2-1 showing decent games, outside that free seems to do really well against his current competition of Protoss players outside Bisu (and Jangbi but he’s now in the army) who is the only one to hold a winning record against him in tournaments. free is a dragon, Movie is not. sSak and now that he’s reached the elimination bracket he doesn’t need to worry about practicing for multiple matchups either. Ayy girl when I’m done with him, wanna catch a Movie? Protoss vs Protoss is a mirror matchup that's proven to be exciting time and again in a Bo5 series (e.g. 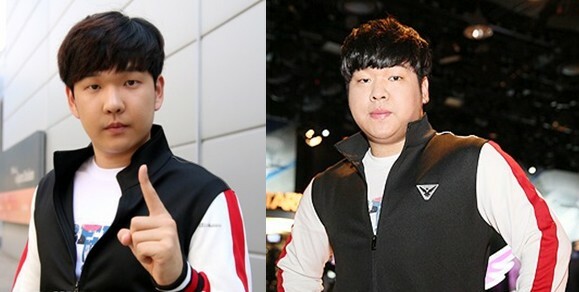 TaekBang Rok), it is also important to note that free and Movie have never faced off against each other in the post-KeSPA era prior to this Ro8 and it's hard to tell just what to really except when these two players clash against each other, the odds favor free for being more active in the Korean scene and generally showing a more solid play-style whereas Movie has been mostly active in China, although he seems to be returning back to Korea now. Those staff pick split on hero vs mong and score split on movie vs free will tell you we have no idea what to expect. "In fact, in the past 13 games, Mong is actually 7-8." Anyway, as long as Mong doesn't move up, I'm happy. I think hero will take the series. Loved it, thanks for sharing! Really cool to see the TL BW Staff's predictions as well. I really expect nothing more out of this than Hero dominating to be honest. Gl hf and thanks again! Surprised to see some staff predicting 3-0 for Hero. I'm confident in his ZvT but damn. I want Free vs Movie to go to 5 games. It's always hard when a protoss falls. Always love the work that goes into the Brood War articles, excited to watch free vs. Movie since it's actually early enough for me to do so without wrecking my sleep. wo wow the redesign wasn't well done but this article sure is! I recommend bisu vs zero to anyone who hasn't watched it! Nice read. I hope hero can surprise us (but only a little). good read, but lol what have you done to pictures of the players above the headline? :D Looks awful. Lawl, why picture is so wrong, they look 20 years older. calm down, only free looks like an old man. LOL. Yeah, not the most flattering lighting and/or image editing. Movie will look like a real kung fu master if u add a beard. I tried to make free look like Pai Mei but he ended up like santa. I demand this to be the banner for the LR threads.